Schell City, Missouri is a small town like so many others across the country. We’re from a small town too and we know how much church matters in small town life. Schell City’s Christian Church bought church pews from us recently to give their church new life and keep congregants filling in the pews every Sunday. We’re proud to have served their community and continued on our mission to bring the Word to everyone. You’ll notice something unique about the Schell City Christian Church—they have both wood and carpet on their floors. The cantilevered or floating pews are installed on wood flooring and carpet runners go between the pews and in the front of the church. 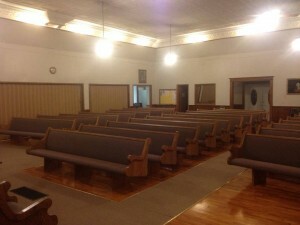 This style of flooring presents some unique challenges for church pews. The church pews need to fit inside of the wood areas on the floor and if the carpet is already installed long before you even think about new pews, this can prove problematic. Church pews come in standard lengths and if your existing church pews are really unique, they might not be in standard sizes. This can mean completely customized lengths for your church pews. One solution is to use cantilevered church pews, like we did in Schell City, and leave the pew to hang over the edge of the carpet. However, this can create an awkward seating arrangement on the church pews. 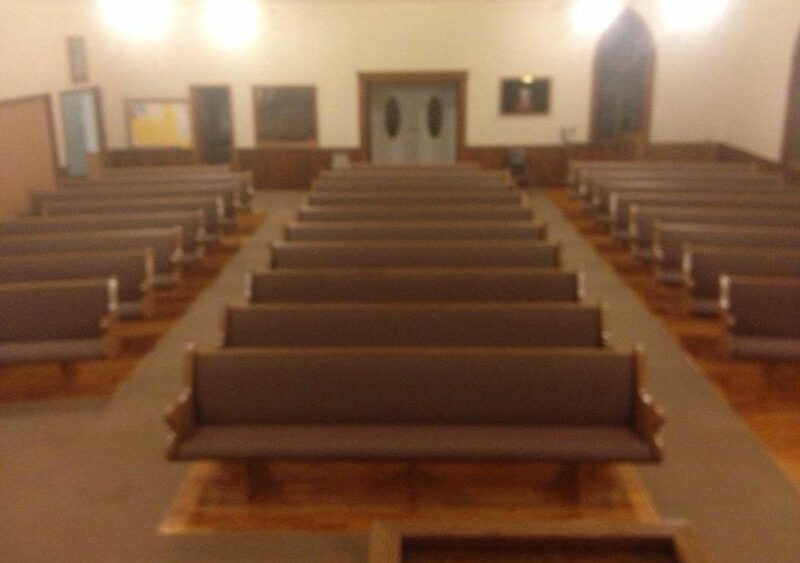 People might not want to sit with one foot on wood and one on carpet, which means less seating overall per foot of pew. The church pews in Schell City fit inside the carpet cutouts without overhang. Church pew ends that meet the floor can give the sanctuary a closed off feeling when the flooring is a dual combination of wood and carpet. Schell City Christian Church’s cantilevered church pews do away with feelings of being trapped. 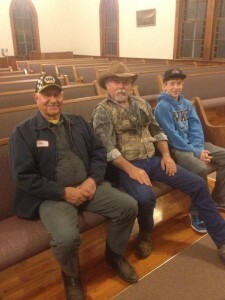 We enjoyed installing the church pews in Schell City and seeing another way of setting up a small town church. Their carpet and wood combination is certainly unique! We love seeing how different churches do things for inspiration for future projects.